Burn as much as you want, then it snuffs itself out. 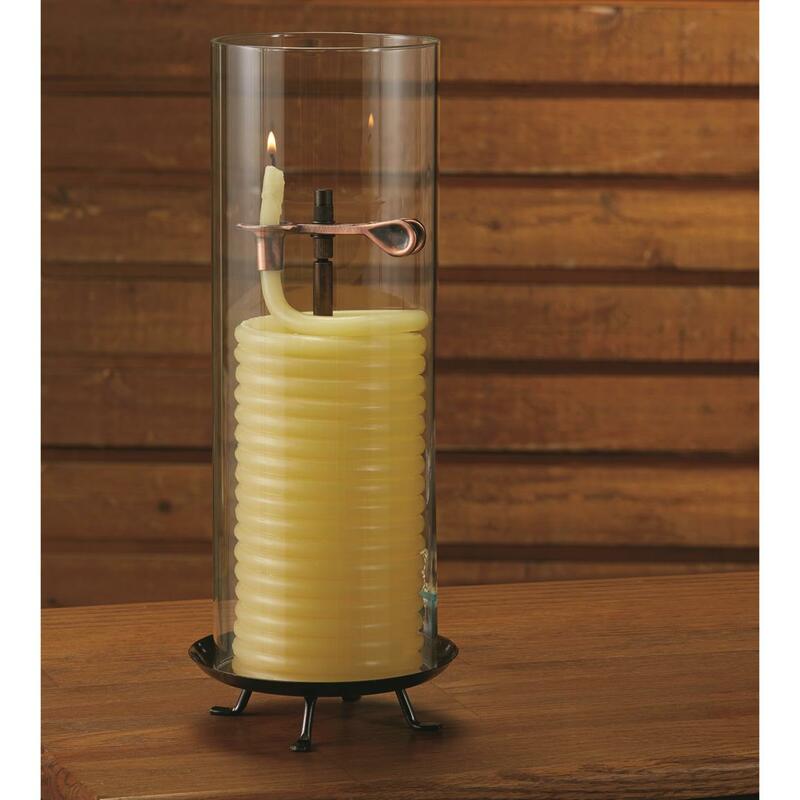 Enjoy the ambiance of candle-glow with less worry of forgetting to blow out the candle. The ingenious design lets you burn as much as you'd like at a time; when the flame reaches the clip, the candle snuffs out. 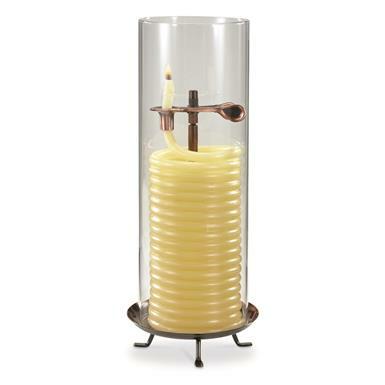 The holder has a metal clamping arm to hold the candle in place, where every exposed inch burns at about 3" per hour. Unlike paraffin candles made from petroleum, the environmentally safe, odorless, natural beeswax actually helps clean the air. 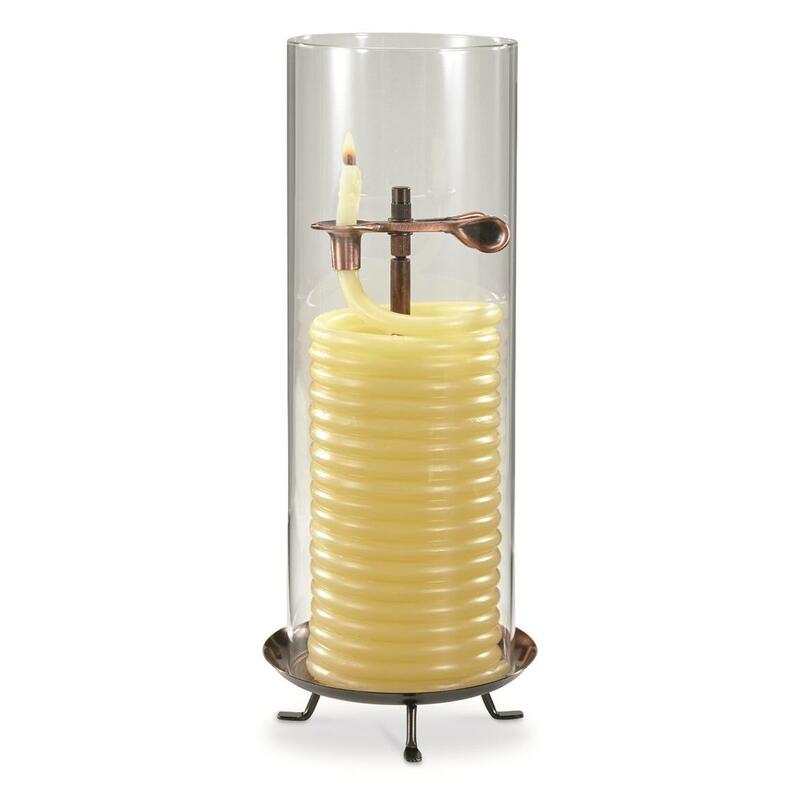 Beeswax produces negative ions which help scrub the air of harmful pollutants and allergens. Measures 5.25" diam. x 13"h.
Dimensions: 5.25" diam. x 13"h.